John Locke’s theory of toleration is generally seen as advocating the privatization of religion. This interpretation has become conventional wisdom: secularization is widely understood as entailing the privatization of religion, and the separation of religion from power. 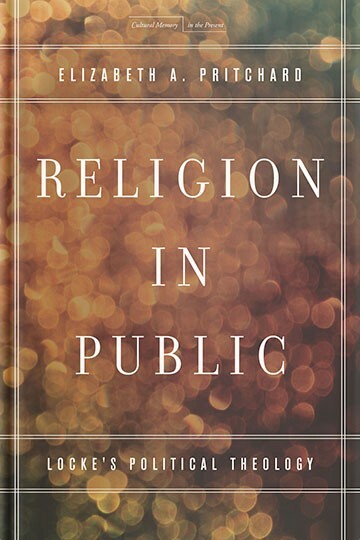 This book turns that conventional wisdom on its head and argues that Locke secularizes religion, that is, makes it worldly, public, and political. In the name of diverse citizenship, Locke reconstructs religion as persuasion, speech, and fashion. He insists on a consensus that human rights are sacred insofar as humans are the creatures, and thus, the property of God. Drawing on a range of sources beyond Locke’s own writings, Pritchard portrays the secular not as religion’s separation from power, but rather as its affiliation with subtler, and sometimes insidious, forms of power. As a result, she captures the range of anxieties and conflicts attending religion’s secularization: denunciations of promiscuous bodies freed from patriarchal religious and political formations, correlations between secular religion and colonialist education and conversion efforts, and more recently, condemnations of the coercive and injurious force of unrestricted religious speech.